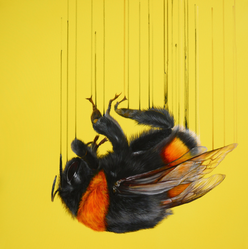 Having completed her Fine Art Degree BSc (Hons) at the University of Greenwich, Louise McNaught has continued to work as a professional artist ever since, with an international representation. 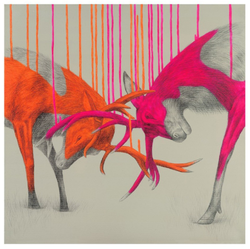 Louise McNaught's creations feature nature and animals, where the animals are God-like, sublime and ethereal in their presence and depiction. 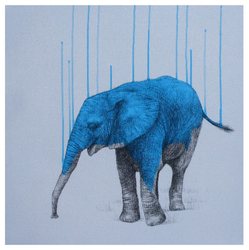 McNaught's work is motivated by emotive and spiritual experiences which has manifested in a mixed-media approach. 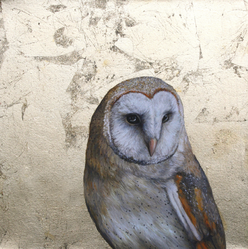 Her soft style suggests a delicate relationship between nature and ourselves, making a clear point about man's destruction of nature - which flutters jewel-like in the balance. 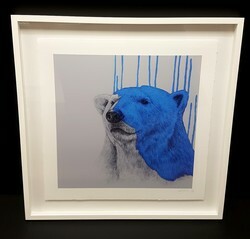 By drawing the viewers attention to the animals presence and energy, McNaught is hoping to share with the viewer the awe that the natural world inspires within her.